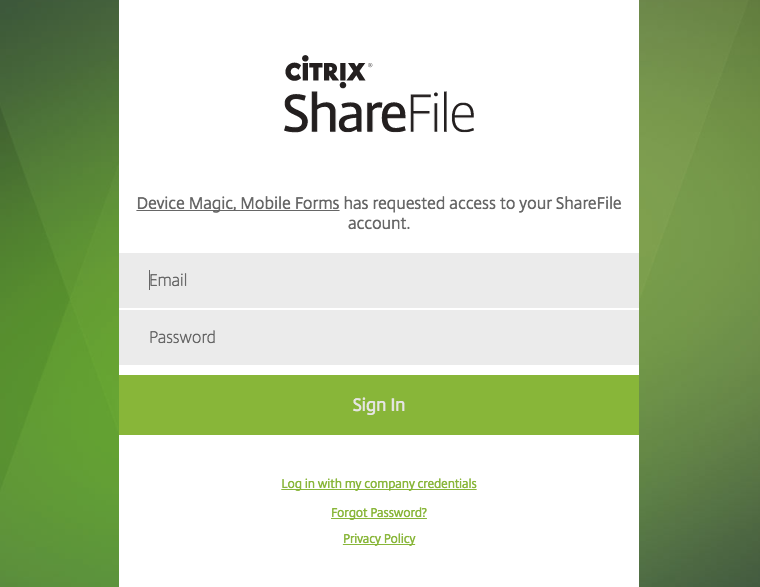 With the ShareFile Destination (available on our Enterprise Plan), you can send your submitted data to your ShareFile account. A new page will load, and on it you will see different destinations to send your data. Click "ShareFile", then (for this example) select the "PDF" format. During Step 5, you have the opportunity to name the PDF file which will be saved to your ShareFile account. You can use a static name or you can copy and paste placeholders for answers from your form by clicking the blue "Show me placeholders..." button. You also have the opportunity to customize the PDF file during this step. 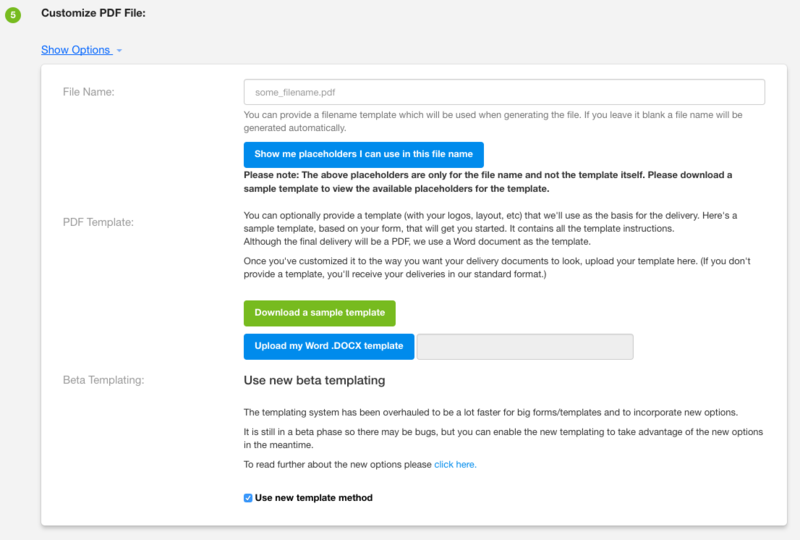 Click here to learn more about how to customize your PDF file. Next you will need to add your ShareFile account to the Destination. Once you click the red "Start authorizing..." button, you will be redirected to enter your ShareFile account information. Once you have added your account, you will then see an option to provide a folder path for the PDF file within your ShareFile account. This isn't a requirement so if you don't have a specific folder path you would like to use Device Magic will automatically generate one for you. 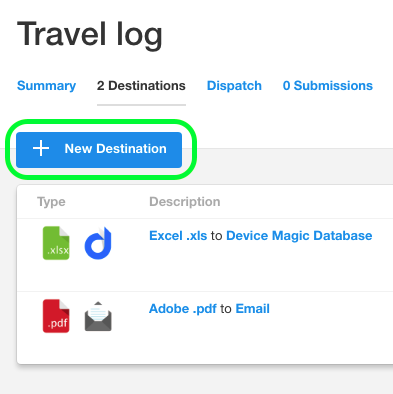 In Step 7, you have the option to create Destination Rules on when you want the Destination to be active. Click here to learn more about Destination Rules and how they work. And that's it! 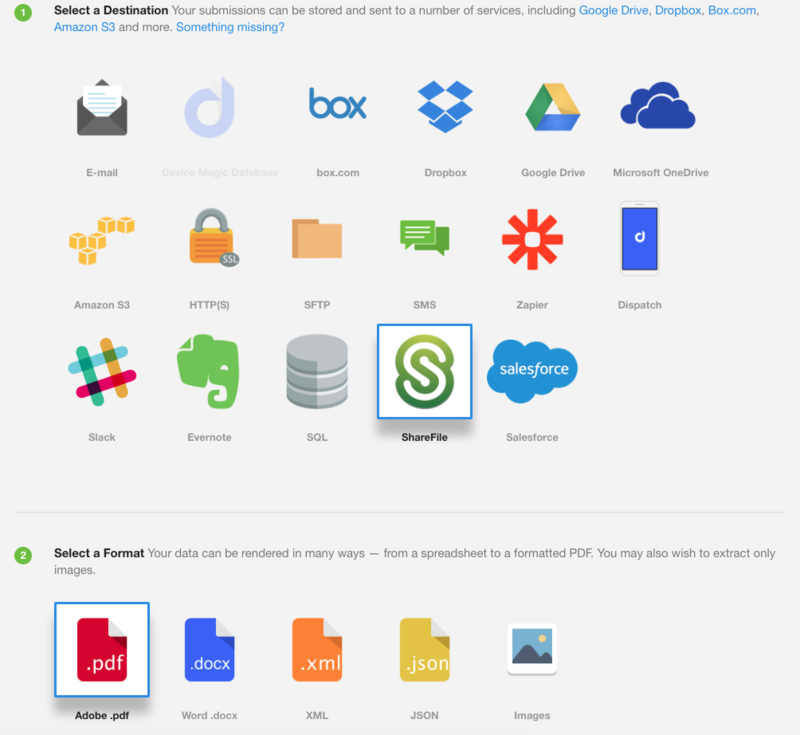 This concludes our overview of adding the ShareFile Destination. If you have any questions or comments feel free to send us a message at support@devicemagic.com.